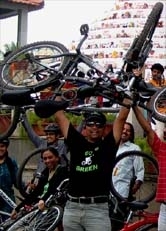 GoGreen Freedom-Ride 15Aug10 - GGI-Group size: 4000+ Professionals, Increasing on day to day basis, Come & join us 2 serve Mother Nature. 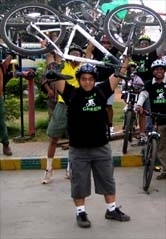 Hyderabad Bicycle Club, Go Green Initiative - Hyd wing, and Bike to Work forums organized a 63 km bicycle ride to commemorate the 63rd Independence Day on Aug 15, 2010. 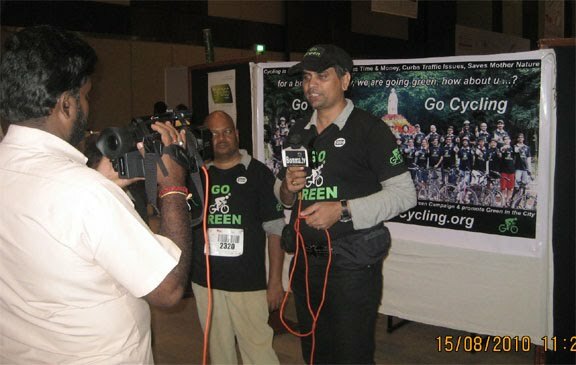 More than 1000 people signed up for the event starting and ending at the Novotel Hotel, Kondapur. 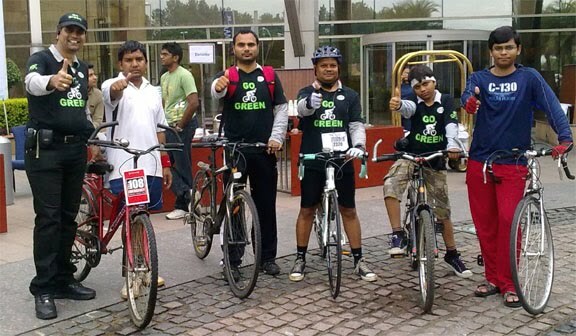 Several hundreds bicycled the rides consisting of 63 km, 10 km and 5 km rides. Few cine stars flagged off the event at 6:30am. Clearly there is an increasing trend to accepting cycle as a mode of transport and sport in Hyderabad. The ride followed by breakfast & lunch at Novotel and an exquisite bike show and raffles giving up to a Rs. 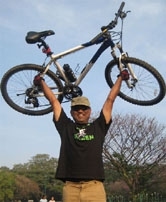 One lakh cycle with accessries. The highlight of the show was a bamboo cycle. It was a memorable ride for many enthusiasts.